A couple of weeks ago, I took a training class about increased productivity. One of the most effective methods you can use to increase productivity is to reduce waste. While reducing the amount of time that you waste seems like common sense, for a lot of people saving a few mouse clicks just doesn’t seem like it’s worth the effort. However, the magic of this approach is that all of the small investments that you make in saving time eventually accumulates, and by the end of the day you’ve won back several hours of wasted time. One of the most effective tools I’ve discovered that can really help with reducing wasted time while browsing the Internet is the text to voice Firefox plugin called FoxVox. 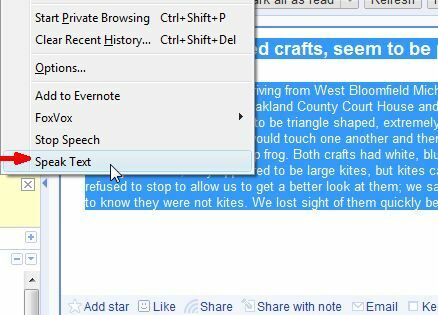 FoxVox is a simple text to voice Firefox plugin that allows you to highlight text on a web page and then have that text read back to you in a digitized voice format. This plugin is similar to another plugin called Text To Voice that was covered earlier here at MUO. The obvious benefit of this is that instead of remaining focused on just one page while you’re on the web, you can actively surf or do work on other websites while the content of another page is read to you aloud. In this article I’ll show you some of the cool features of this software, and how you can put it to work to increase your productivity significantly. Installing FoxVox is fast and easy, just like most other Firefox plugins. The basic functionality of this plugin is that you can highlight as much text as you like, and then enable the plugin to “speak text.” In my case, I use the plugin to read my Google Reader articles to me while I’m working on editing articles. I find that while I could never concentrate on writing an article while my Google Reader articles are being read aloud to me, there are actually a number of activities where having a digitized voice read articles aloud doesn’t hamper concentration at all. A few examples include IM chatting, conducting Internet research, shopping on eBay or Amazon or shopping for music. 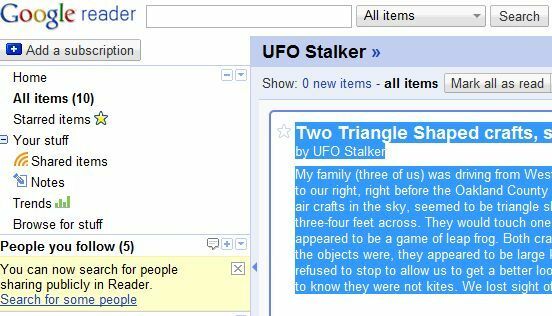 Just about every day, whenever I’m settling in for a long session of article editing, I open up Google Reader and highlight the latest batch of UFO sighting reports that I like to keep an eye on. In Google Reader, by holding down shift you can actually highlight as many items in the content pane as you like. I usually highlight up to 20 articles or so. Then, in the Firefox menu bar, select Tools and choose the “Speak Text” option. After a few moments, you will hear a digitized voice start reading your articles to you out loud. Keep in mind that the free version of the FoxVox text to voice Firefox plugin has a male digitized voice that leaves a lot to be desired. However, it does serve the purpose of getting the content into your brain with very little effort on your part – all you have to do is listen. Even though the voice sounds like a cheap imitation of Max Headroom of 1980’s MTV fame, it really does get the job done. The “Speak Text” feature is just the tip of the iceberg when it comes to FoxVox. There is another feature that makes this little plugin an invaluable text-to-voice conversion tool. 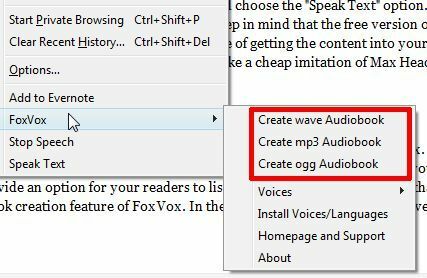 If you have your own blog and you would like to convert it into an audio podcast, or at least provide an option for your readers to listen to your blog entries rather than just read them – then you’ll want to check out the Audiobook creation feature of FoxVox. 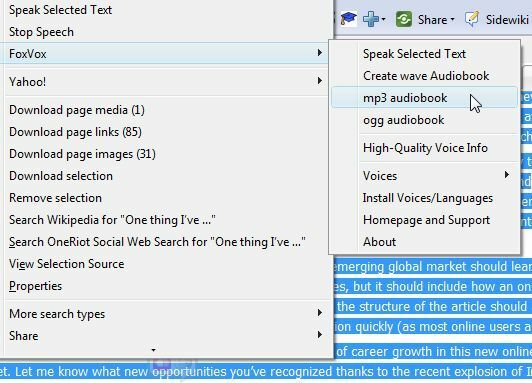 In the Firefox Tools menu item, above “Speak Text” you’ll see three Audiobook format options. These are the three audio formats that you can convert any highlighted text into. 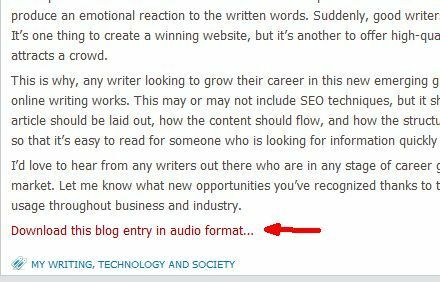 One of the coolest uses for this is converting your blog entries into audio format and then providing the audio file as a free download from your site. In my example, I’m going to highlight an entire post on my blog and convert it into an MP3 file. By the way – you don’t have to use the Firefox menu to get to the FoxVox tool – when you right click on any selected text, you’ll see the FoxVox option available. 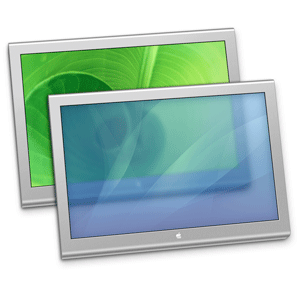 The plugin opens up a new dialog box and shows you the status of its conversion efforts. Once it’s finished, the audio file is saved in the directory that you’ve defined. 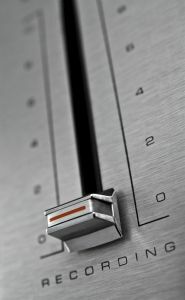 Just upload it to your blog and provide it as a free audio download for readers who want the audio option. There are lots of other uses for converting text to audio files – the possibilities are limited only by your imagination. Just think how cool it would be to highlight your favorite blog updates in the morning and convert them to an MP3 file that you could load onto your mobile device and then listen to it during the ride into work. If you like the flexibility that the text-to-voice plugin provides, you might even want to consider purchasing the full version that offers a high-quality digitized voice. Either way, I plan on using this plugin every day from now on, both for converting my blog updates to audio as well as for increasing my productivity during the day. Have you ever used any text-to-voice applications? What do you think of FoxVox and the quality of the audio conversion? Share your opinions in the comments section below.